The exterior of Songbei Shangri-La, Harbin. Located a mere five-minute drive away from the world-famous Ice and Snow Sculpture Festival, Songbei Shangri-La, Harbin has recently opened its doors on the banks of the postcard-worthy Songhua River. Accommodations are done up in a sleek, contemporary style bedecked with local artworks and unobstructed city views, while the exclusive Horizon Club Lounge entails perks such as express check-in and check-out, complimentary breakfast, and evening cocktails. The hotel also boasts executive serviced apartment units and huge, all-frills suites—perfect for those planning extended stays at the property. Dining wise, the hotel spoils travelers and staycationers for choice: the upscale Shang Kitchen specializes in classic Chinese cuisine, while Café Song whips up international fare in a laid-back setting. There’s also De Drunk’n Pig, an industrial-chic space serving unique blends and made-to-share dishes, and the elegant Lobby Lounge, which offers both afternoon tea sets and all-day refreshments. 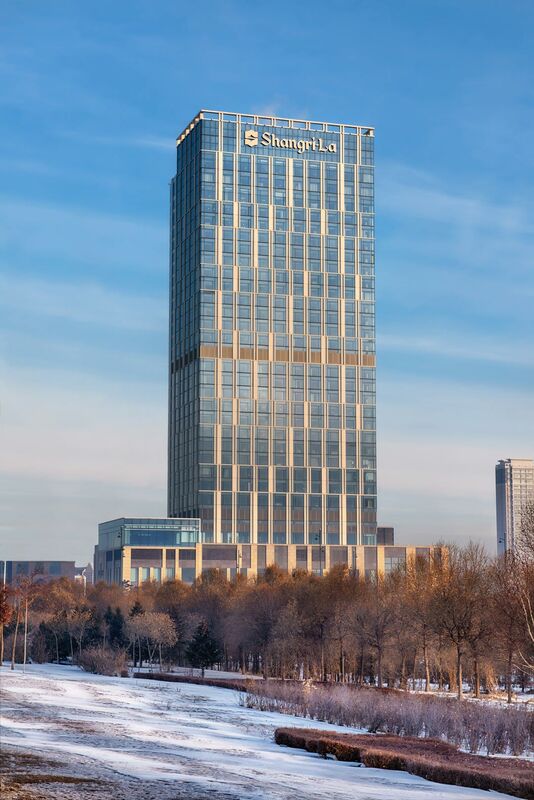 To celebrate its debut, Songbei Shangri-La, Harbin is rolling out a special offer that’s valid until February 20, 2017: room rates start from RMB 1,350 per night and are inclusive of daily buffet breakfast. For more information, visit Songbei Shangri-La, Harbin.